The development of the CRUNCH project began in 2016 and involves 19 partners from 6 countries. 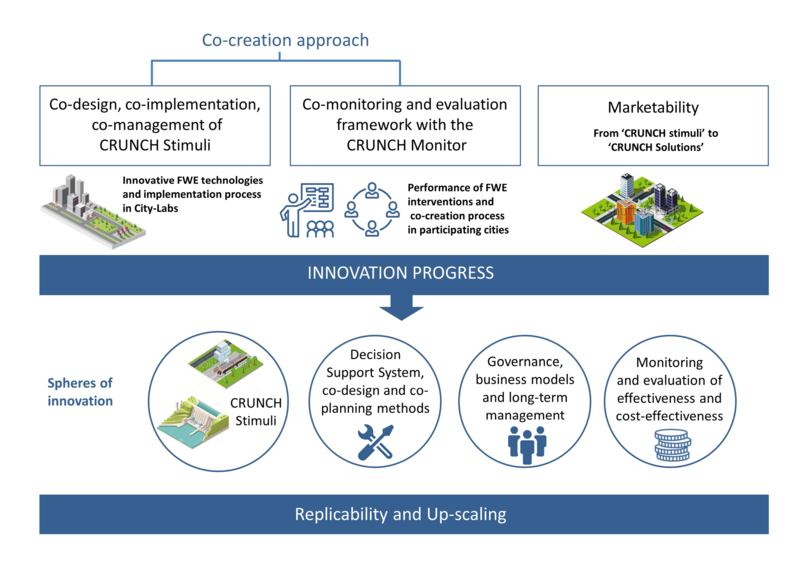 The CRUNCH project was selected from 88 proposals submitted in a 2-stage competitive process. 25 senior researchers from six countries came together to commence the important work in an intensive research workshop in Southend-on- Sea on 23rd April, and in London on 24th April 2018. There are seven work packages that will be delivered by the Consortium. In all six participating cities, different content-specific methods will be applied to co-create the Urban Living Labs(ULL). CRUNCH is a three year project that explores the Food, Water, Energy NEXUS. 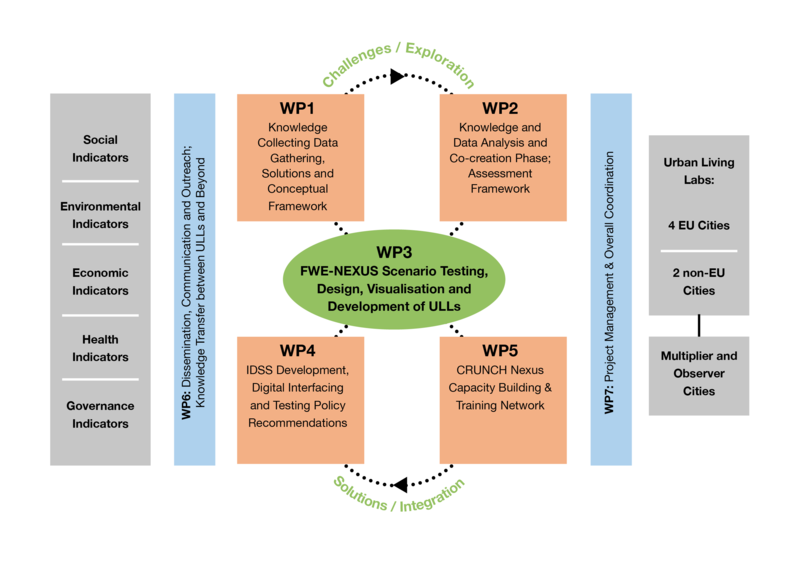 It is running from 2017 to 2021 and will build an Integrated Decision Support System, which is an assessment tool for cities. CRUNCH © 2018 | All rights reserved.